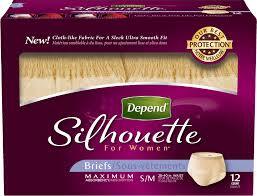 Home / Family Life / What do you know about the Underwareness Challenge? What do you know about the Underwareness Challenge? I am calling out all of my fellow bloggers, my family and my friends and of course all of my readers! There is a new campaign being run out there that is the complete opposite of the Ice Bucket Challenge! This campaign is about staying dry and not getting wet! As Depend products will always protect you from wetness. I have had two babies and the first was a c-section and frankly after a few weeks, my body was back to normal no problem. With my second, I had a vaginal birth after a VBAC and well, things have not quite been the same since in the downstairs parts, I now will leak when I laugh too hard, sneeze, cough or even if I have to “go” it just happens. Being that I was 22 when I had my last baby, it was pretty young to have to deal with those issues and you certainly did not talk to your friends about it, so I did what most women do and I used a maxi pad and hoped for the best! So, you may ask where does this challenge part come in? You see lots of people besides myself have this problem with leaking bladders, some men, some women, some young, some middle-aged and some even old. 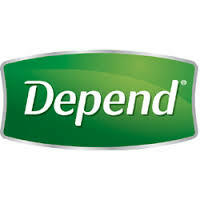 Depend is now having a campaign so that anyone who submits a photo or video they are going to donate money to charities. They will donate $1, up to $3 million, over the next three years to charities that advance the research, education and awareness of bladder leakage for: Every pant drop, photo and video shared. Using #Underwareness and #DropYourPants; and every personal video made about what Underwareness means to you that is uploaded to YouTube and tagged #Underwareness and #DropYourPants. How awesome is that! People need to know there are others with this problem and they need to know there is help for this and to not be embarrassed to talk to their doctors or friends about it. You can go right now today and get a FREE Sample of Depend for yourself, and try it out, learn the secret that a lot of people have, you can have protection and not feel like everyone knows, no bulk, no sightly lines, just great protection and peace of mind. As far as my problem, well you see my kids still cause my bladder leakage issues, though now they are adults themselves and usually it is because they think it is funny to “make mom pee her pants” by making me laugh so hard I cannot take it! Gotta love kids. So, my challenge stands to all of those above, make your video, take the photos, lets stay dry for this challenge, ice buckets here! Yikes! Didn’t know about these issues (I’m child-free for the moment).